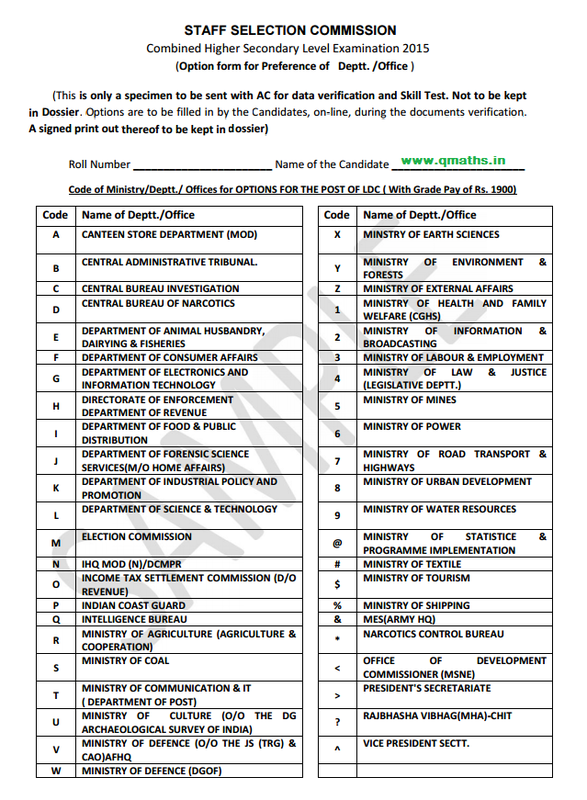 SSC has uploaded a sample option form for preference of SSC CHSL 2015 Candidates. You may download it from the link provided below. 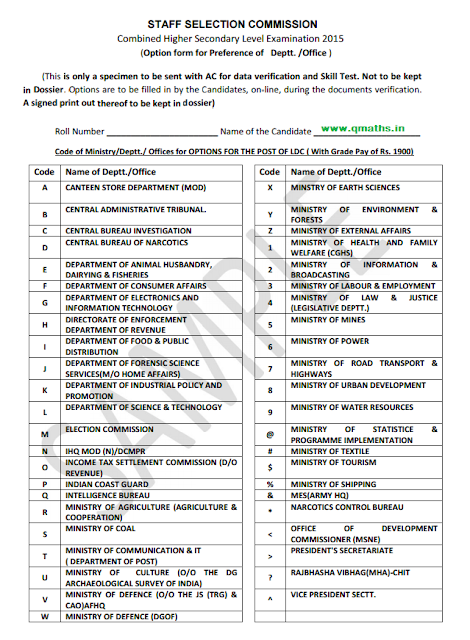 Options are to be filled in by the Candidates, on-line, during the documents verification. Snap Shot of option form.